Handmade home - transforming a duvet cover into curtains! At the weekend I went to visit my lovely friend Claire who has a folksy shop called Contemporary Crafts. She is great at sewing (which is not one of my strong points!) and had said she could help me make some curtains. 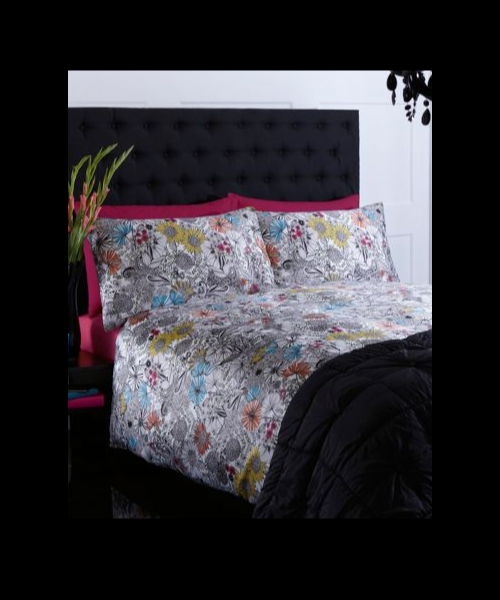 I had bought a duvet cover in the sales (which works well for curtains as you get a lot of material for the money) so I took it round to her house to see what we could do. We had to cut the duvet in half (Claire's advice is to buy two single duvet covers as this would solve the need to do this. Depending on your window size obviously). 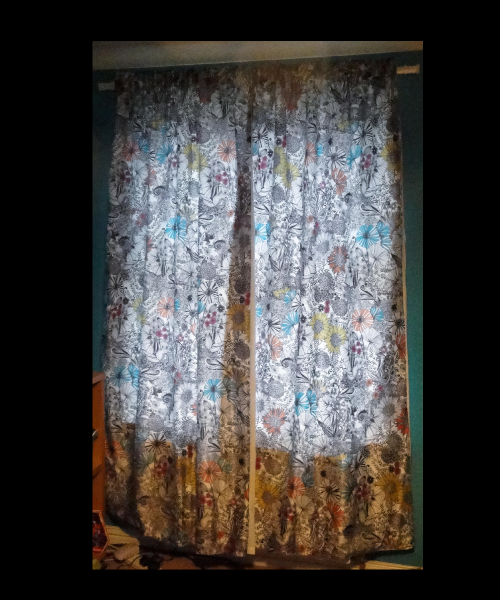 We then had to pin and sew each curtain together and then sew the curtain tape into the top. I'm using the word we rather liberally! I mostly stood around and drunk tea. I did a bit of pinning. And a bit of ironing. And a bit of measuring. Claire did all the sewing and important stuff! And here they are in my living room! I'm really pleased with the way they look. Thanks so much for your help Claire. It's great having crafty friends!